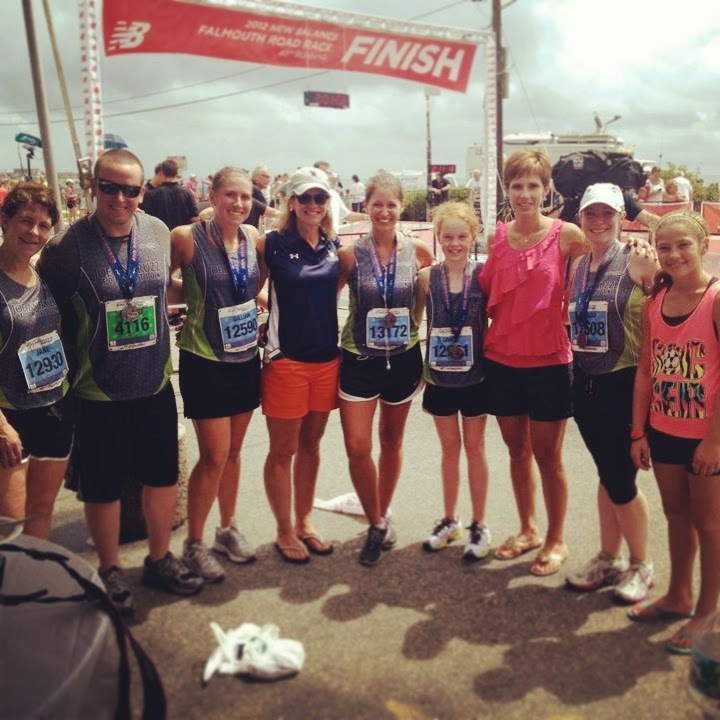 On Sunday, August 17, #TeamJAF will hit the New Balance Falmouth Road Race course. We will run the beautiful, 7-mile stretch in the heart of Cape Cod, sharing our (Up)Beat philosophy and raising money to support our mission! Each and every one of our 84 runners has an amazing story, but we would like to highlight a new runner to our team, Brigid O’Connor. Brigid, 51, is a radiation oncologist in the Cancer Center at Beth Israel Deaconess Hospital in Plymouth, and has witnessed the positive effect the Joe Andruzzi Foundation has on the cancer patients she treats. She can’t believe how much of a difference JAF makes to patients not just financially, but also emotionally, through the amazing support system the Foundation provides. This is Brigid’s third time running the race but her first time running for charity. The Falmouth resident says that being part of #TeamJAF has transformed her approach to the race. This year, she runs with determination, purpose and motivation, training harder than ever before. She said the race has so much more meaning, and that it’s empowering to run for a cause rather than for her own sake. Brigid and the other #TeamJAF runners would love to see some friendly faces on the racecourse this Sunday. Take the day to enjoy the beautiful summer weather and cheer on the runners! If you’d like to pick up a #TeamJAF cheer sign, you can do so at the Foundation office. Please contact Gillian Furey at TeamJAF@joeandruzzifoundation.org or by calling 508-261-0630. We want to give another huge shout out to our partners New Balance, DigitasLBi, Millennium: The Takeda Oncology Company and Aegerion Pharmaceuticals. Thank you for supporting #TeamJAF and our runners!